Oh! My Name - Blog - Why do children love Dinosaurs? There are about 60,000 different species of animals, not including insects and other invertebrates (Source: Fact Monster’s Estimated Number of Species on Earth). But if you have to name that one species which gets children excited like no other, it has to be the Dinosaurs. For a brief period of time, a child’s love for Dinosaurs is probably second only to the love for his / her mother (Fathers generally come last in this pecking order). But what is it about Dinosaurs that children fall in love with? Dinosaurs are extinct. And a lot of times, whatever is not readily available or is not tangible, tends to captivate the human mind even more. Children have an inquisitive mind and hence want to explore and experience new things before deciding what’s good or bad for them. Children want to see the Dinosaurs in reality. They look for them everywhere, from zoos to parks but to no avail. They only get to hear about Dinosaurs from others or only find them in books and videos. This adds to their anxiety as they can’t really fulfill their desire to have a real “experience”. One thing we all agree that Dinosaurs were large, exorbitantly large. For children, seeing something so large, previously unimaginable to them, is truly mesmerizing. It lets their imagination run wild. They can probably picture themselves riding on a Dinosaur and reaching up to the moon and the stars. And every night when they hear their mother telling them, “I love you to the moon and back”, they are probably thanking the Dinosaurs for helping their mothers get to the moon. 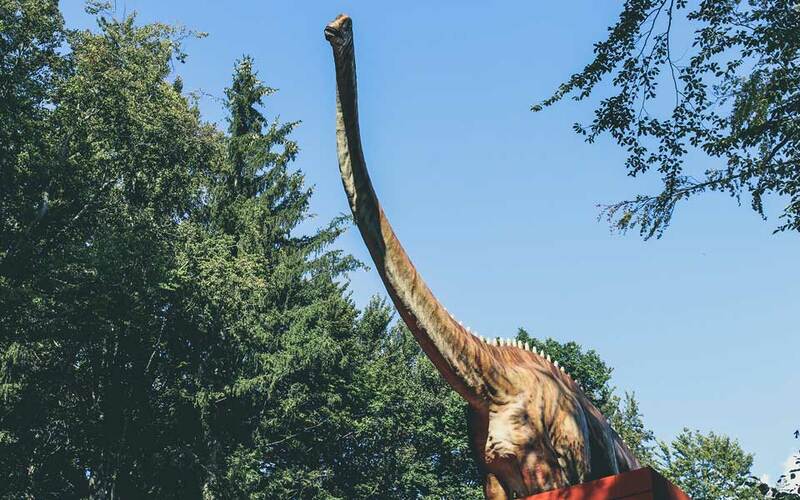 Children also hear and read stories where Dinosaurs, despite their gigantic size, can also move around with ease. And not just walk, they can run, fly and swim too. How they could do it is probably food for thought for a young mind’s imagination. Owing to their size, Dinosaurs could practically get away with anything. They could do whatever they wanted to do without anybody questioning them. You cannot imagine anybody telling a fully grown Tyrannosaurus or an Apatosaurus to go and brush their teeth or ordering them to finish their milk before going to bed. And most importantly, they could eat or not eat as per their liking. Some were herbivorous, some were carnivorous and some switched between being herbivorous and carnivorous as and when they wanted. 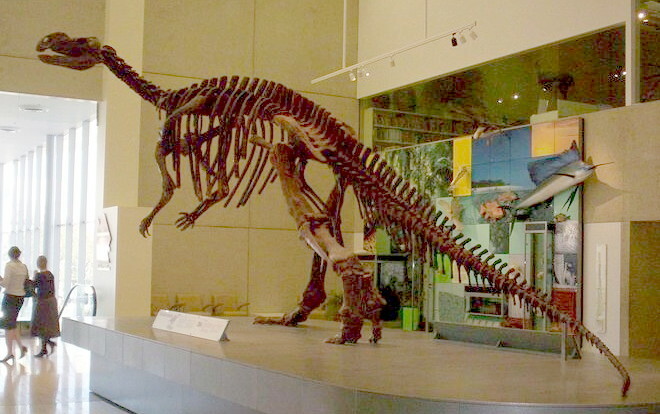 Go to any museum and the only place you will see surrounded by children would be the one with the skeleton of a Dinosaur. I remember my parents taking me to a museum and I was completely blown away as soon as I came across this huge intricate body structure which was kept right at the center of the museum. I had never seen anything like it ever before and I think there will never be anything like them in future. Standing right there, it was difficult for me to imagine that such huge creatures have completely vanished from the face of earth. (Thankfully so, because if they were still alive, we would not be). So finally, I think it boils down to the image which children make when they comes across a Dinosaur. They probably see a creature who is cool, big & mighty and somebody who has free will to do anything and everything (which child does not want to be like that?). In short, it becomes their first super hero, much bigger than all the other super heroes put together.